A personal blog can go a long way towards establishing your thought leadership and authority in a certain niche. It can also be a great place to showcase your skills and promote your services. 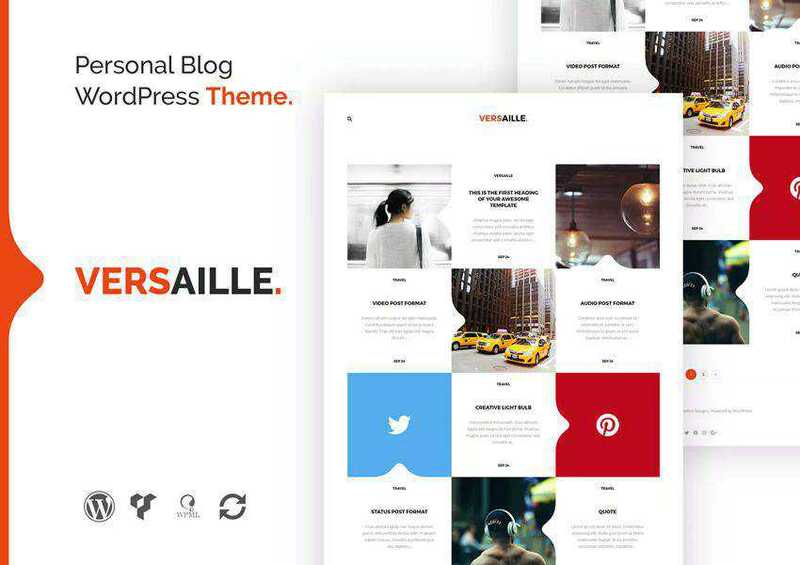 However, you will need a personal blogging theme packed with the right features and attractive design that will help you stand out. Finding the right personal blogging theme can be time-consuming. 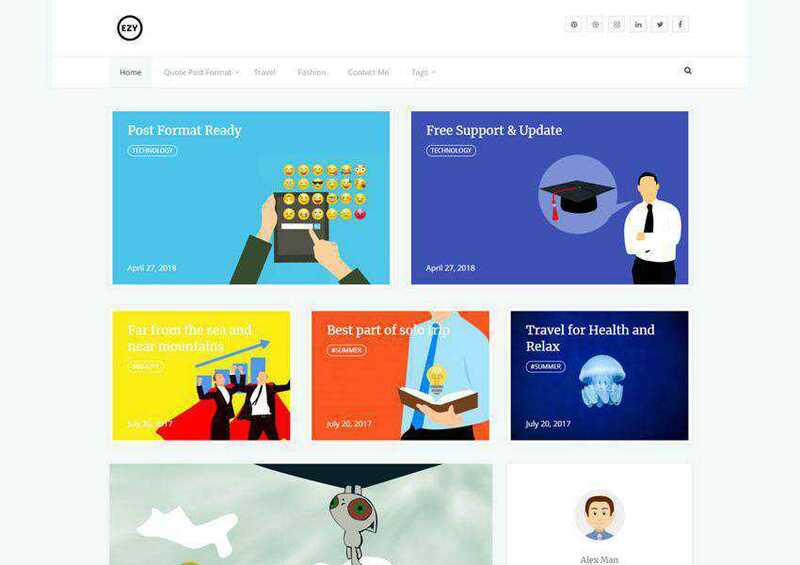 That’s why we’ve done the research for you and compiled the best free personal blog themes for WordPress. 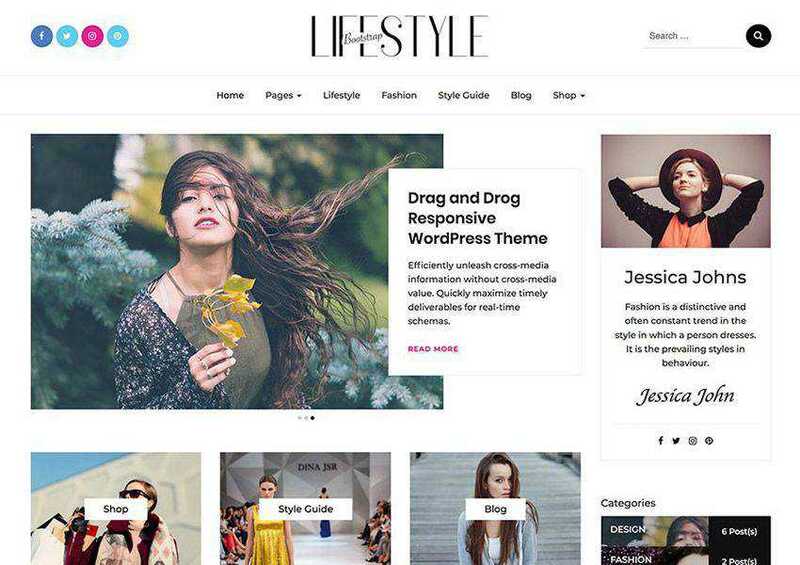 If you’re looking for free magazine-layout WordPress themes, take a look at this round-up. 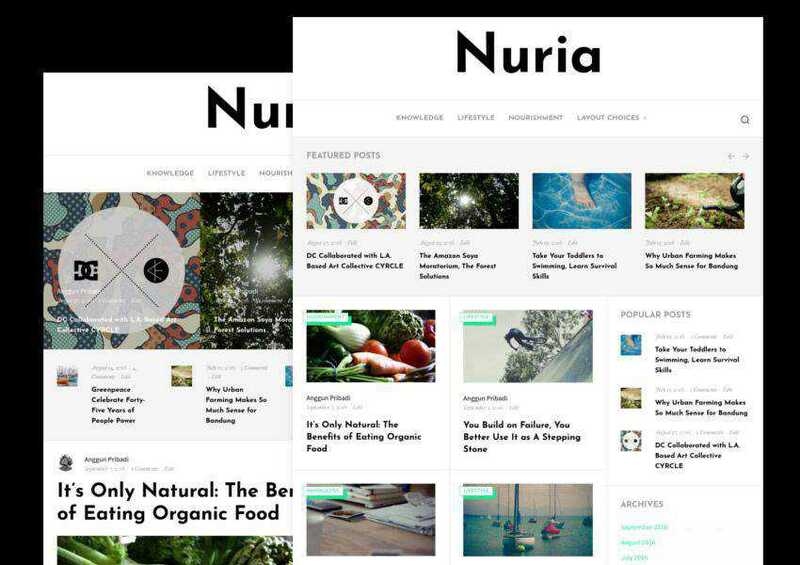 The Nuria theme is suitable for a variety of personal blogs. It features a minimal design paired with gorgeous typography. It’s easy to customize and comes with built-in SEO optimization, loads fast, and several widget areas. 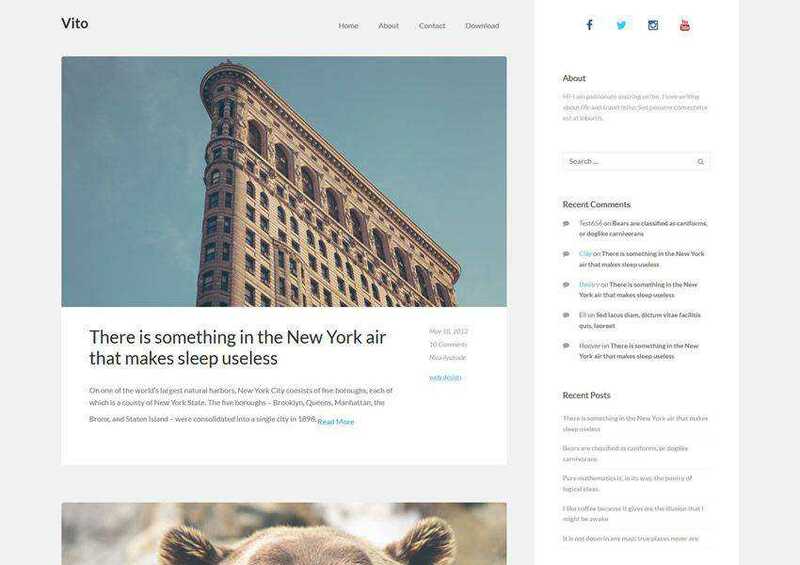 The Bootstrap Blog theme is a lightweight, minimal, and free WordPress theme. You will find plenty of customization options, several layout options which include a slider layout as well as a standard blog layout, WooCommerce integration, and more. 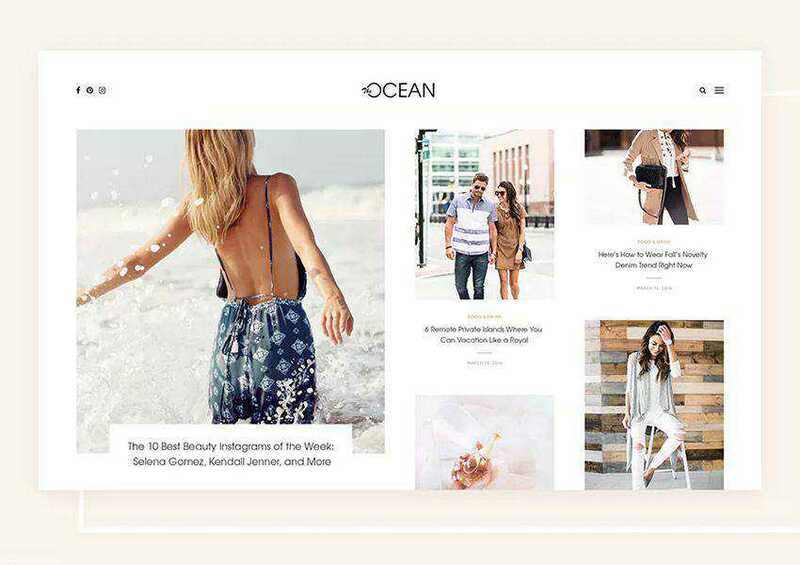 The Ocean is a elegant theme for personal blogs with a feminine design. 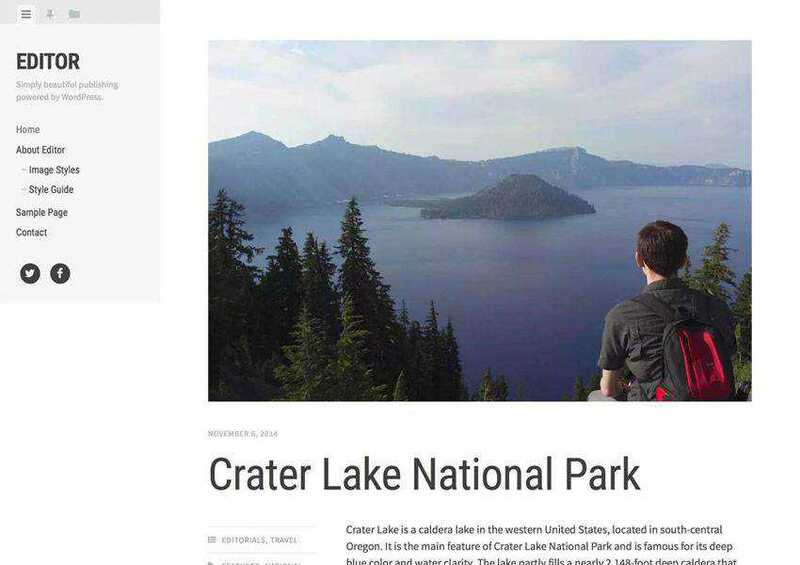 The homepage features a grid layout that displays your blog posts and you can easily add an Instagram widget. The theme is fully responsive and translation-ready. 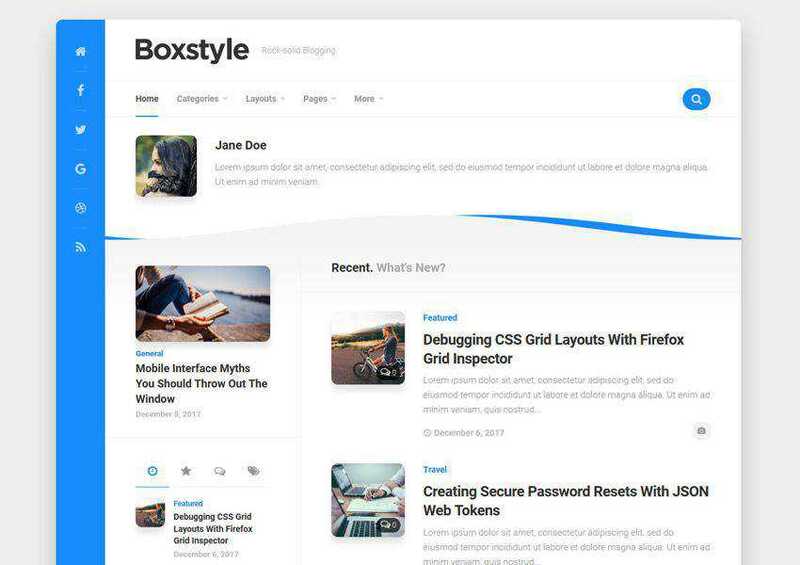 If you’re looking for a personal blog theme that has a unique design, consider the Boxstyle theme. It features a unique boxed layout with social media icons in a colorful sidebar so it’s sure to make your blog stand out. The Ezy blog theme is compatible with Elementor and Gutenberg which means you will have no problems creating a unique layout for your pages. On top of that, the theme includes features such as modern and creative design, SEO optimization, slider section, featured post columns, footer options, and plenty of customization options. The Lightly theme is a perfect choice if you want your blog to look like an online magazine. It has a grid based layout and bold typography that makes your content pop. The theme is also fully responsive and easy to customize. 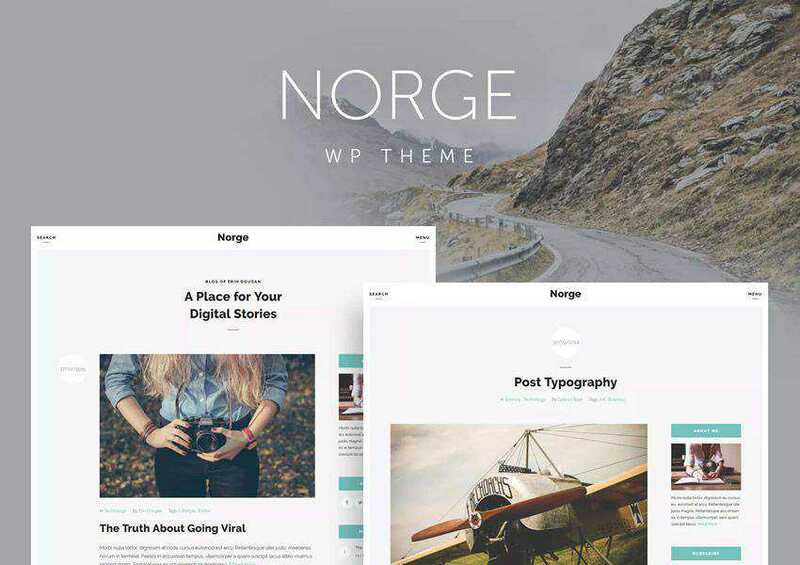 The Norge theme combines minimalist design with clean typography which makes for a very pleasant reading experience on all devices. The theme with sidebar and full width layouts, numerous widgets, shortcodes and support for different post types. 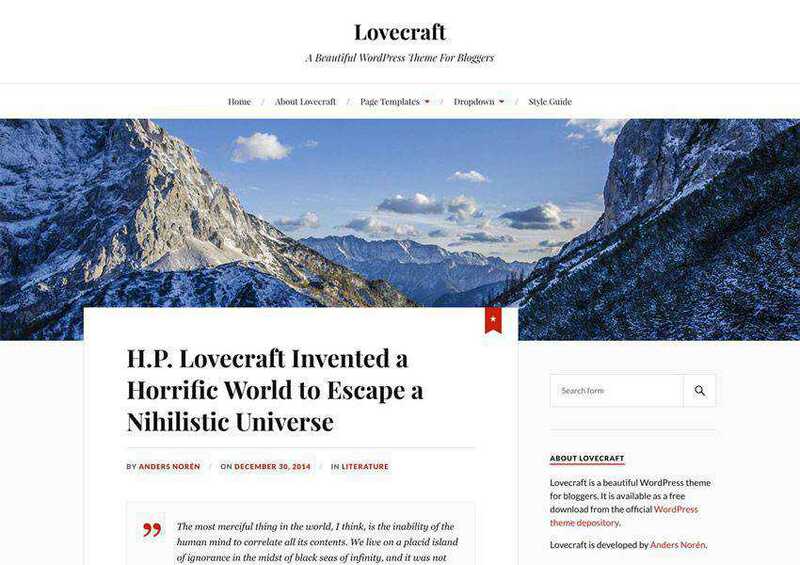 The Lovecraft theme comes with a stunning header image which allows you to easily give your readers an immediate glimpse into your personality. The theme has a standard two-column layout and allows you to customize the colors, upload your own logo, and more. The Good theme has an interesting grid-based layout on the homepage. It allows you to upload your own logo and set your own brand colors. The theme is SEO-friendly and loadst fast. Try the Olsen Light theme if you’re planning on launching a fashion or a beauty blog. 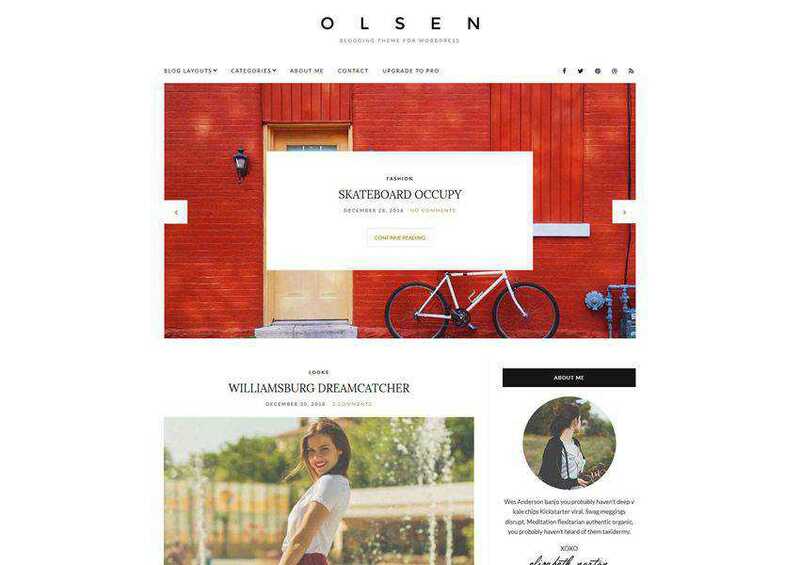 With an elegant and feminine design, paired with custom widgets, customization options, and SEO-friendly code, the Olsen theme has everything you need to create a captivating blog. 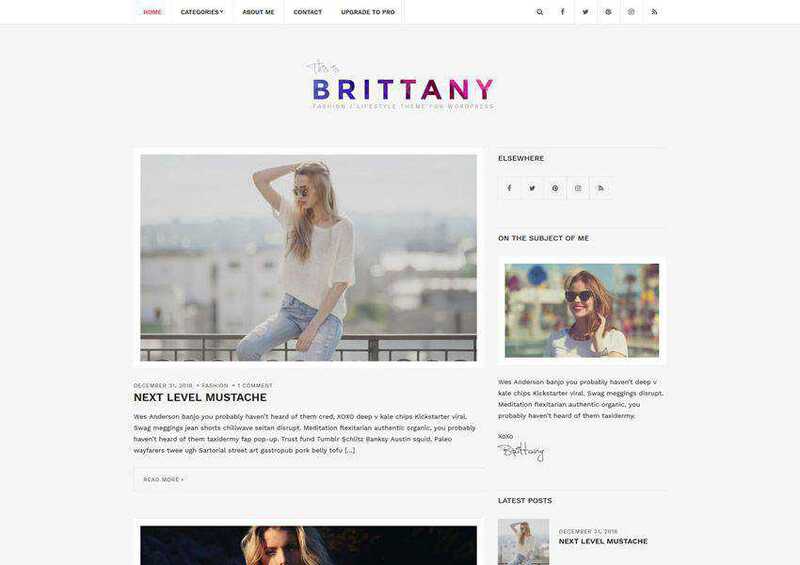 The Brittany theme is a casual blogging theme with built in social networking options so you can easily build your social media following and encourage visitors to share your blog with their network. The theme is SEO optimized and translation-ready. This premium theme has a unique curvy design on the homepage and includes additional page layout for your portfolio. You can customize the theme using the built-in Live Customizer. 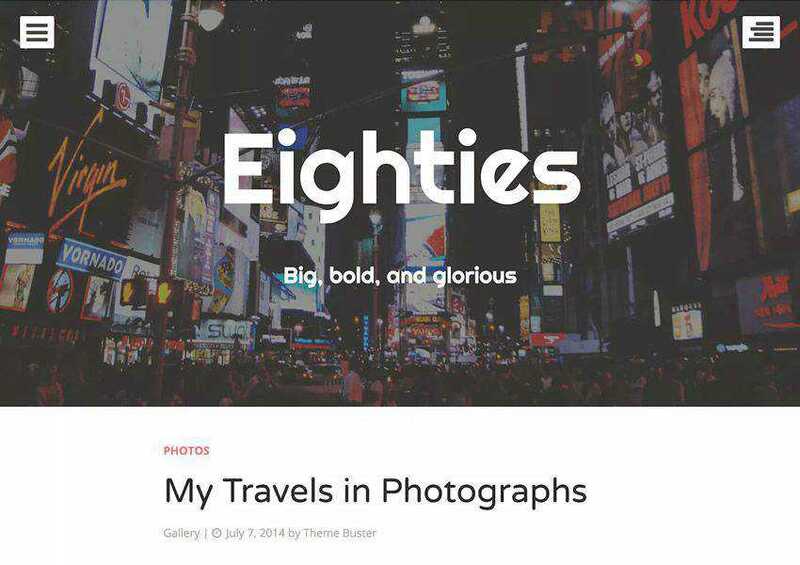 Eighties is a bold, one-column theme that’s perfect for personal blogs. The theme supports various post formats and you will also find large featured images that make it easy to share your stories in a visual way. 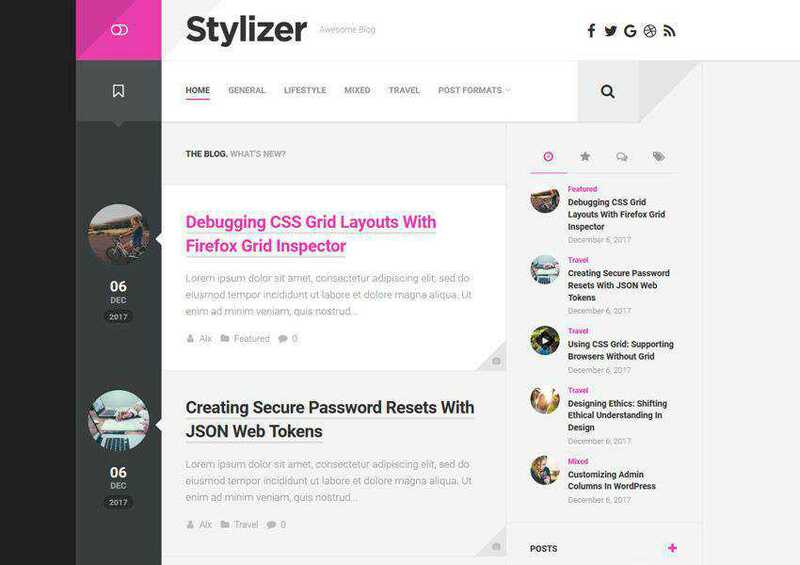 The Stylizer theme is perfect for anyone looking for a unique design. 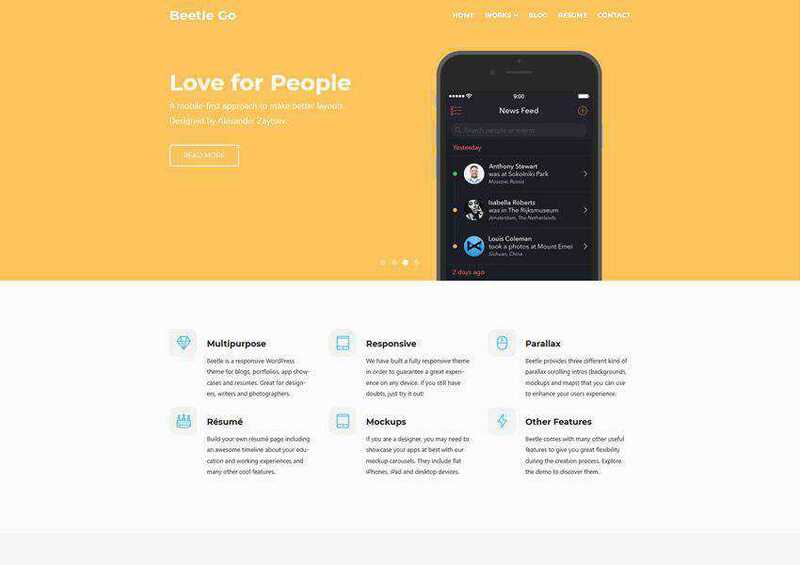 The theme is responsive so it will look great on all devices and it also comes with features such as related posts and post navigation, dark and light color switch, and more. Consider the Beetle Go theme if you want a blog and the ability to showcase your portfolio and past projects. You can also use it as a resume theme. The theme comes with a plethora of customization options and elegant parallax scrolling. 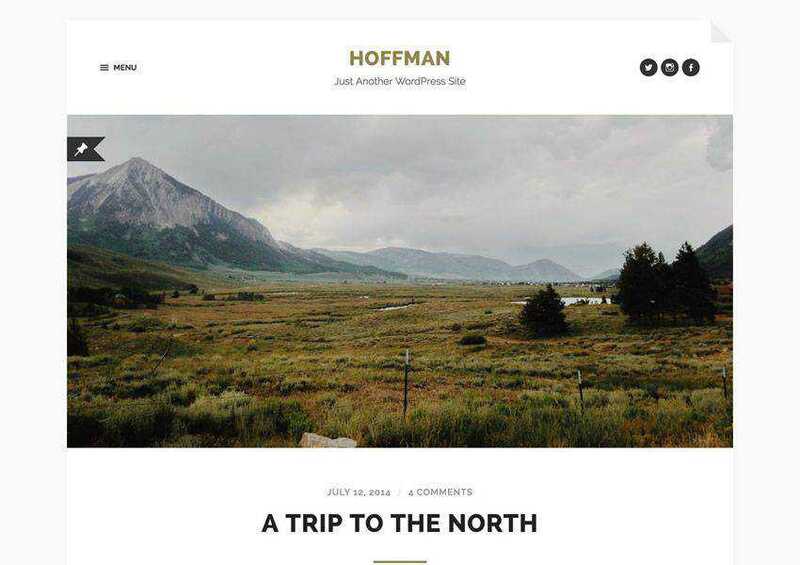 The Hoffman theme is a beautiful minimal WordPress theme that’s best suited for personal bloggers or authors. The theme has a strong focus on typography and offers a responsive design and beautiful galleries. 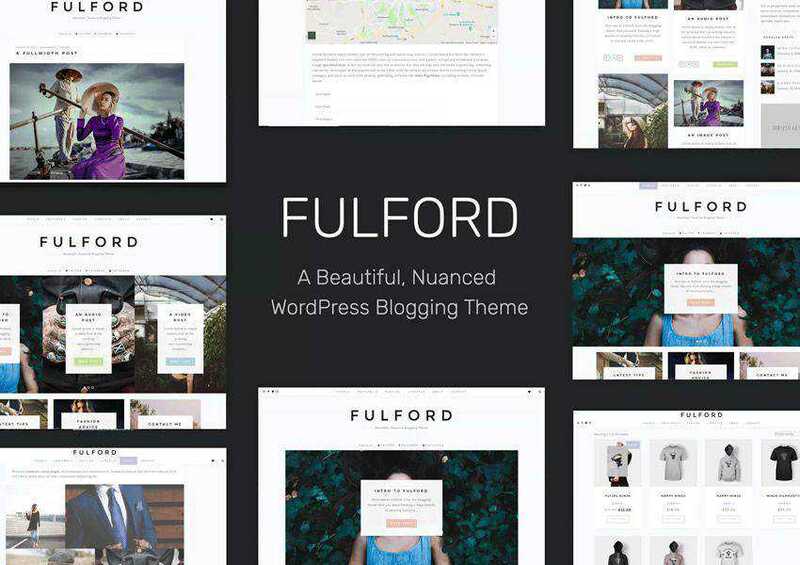 The Fulford theme is a multipurpose blogging theme that has several demo variations, all of which can be imported with a single click. The theme is also WooCommerce ready and has several widget areas which can be used to sell advertising spots. As the name suggests, the Curver is a personal blog theme with a unique colorful and curved look. 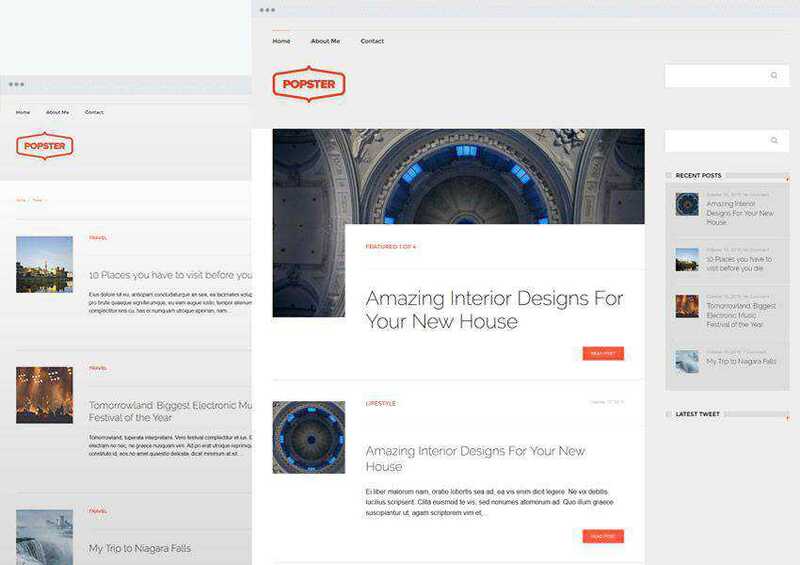 The theme includes featured post slider, standard or list blog layout, and a unique author header profile. 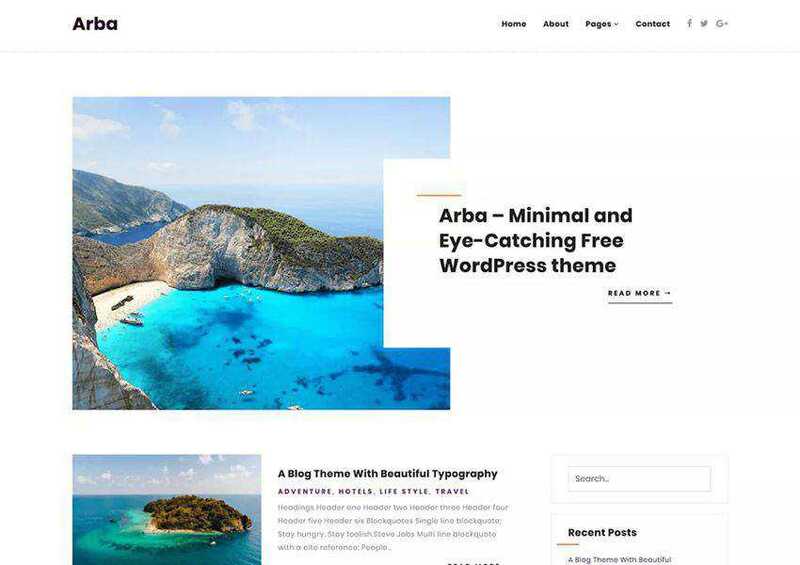 Arba is a free WordPress theme for personal blogs. It has a minimal design and simple layout. The theme is also fully responsive and uses gorgeous typography for a much better user experience across all devices. 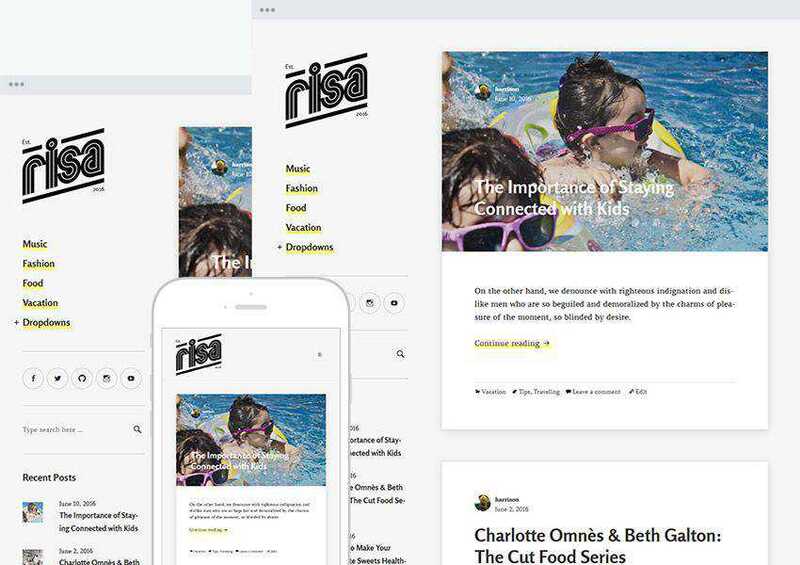 The Risa theme features a clean and classy look. It offers a number of different customization options and is SEO-friendly and translation-ready. On top of that, the theme includes support for different post formats: Standard, Aside, Image, Link, Gallery, and more. 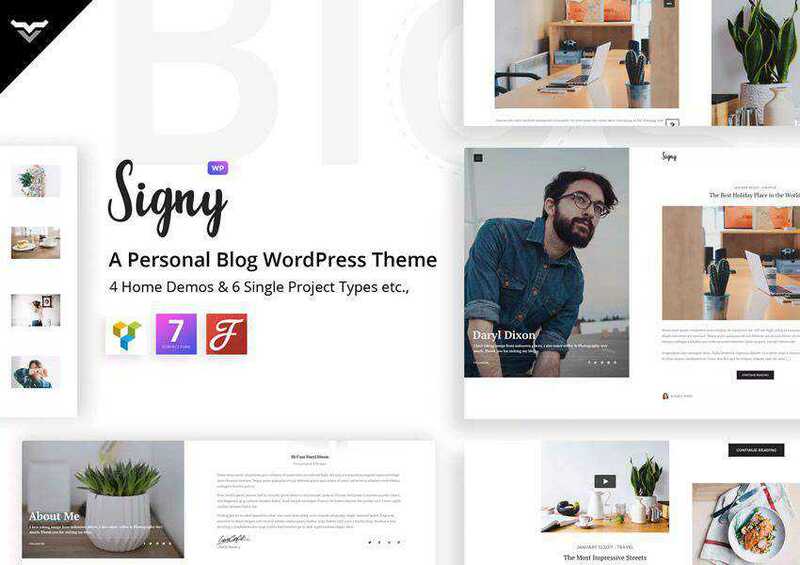 Try the Signy theme if you’re a freelancer or creative professional that wants the ability to showcase your past projects on top of a blog. The theme comes with 4 different homepage layouts and 6 unique portfolio layouts. The Invenio theme mimics the look of Tumblr blogs so it’s a great choice if you’re going for a more unique design. 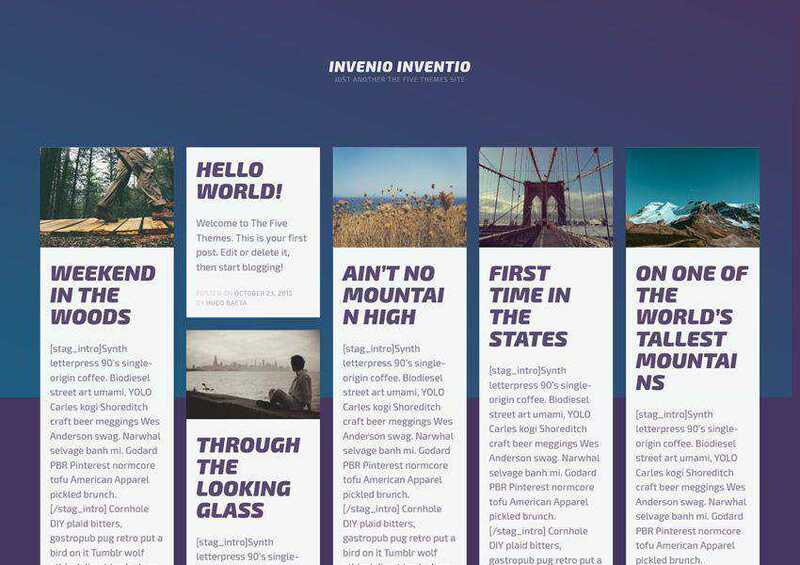 Invenio is also responsive and has support for multiple post formats. 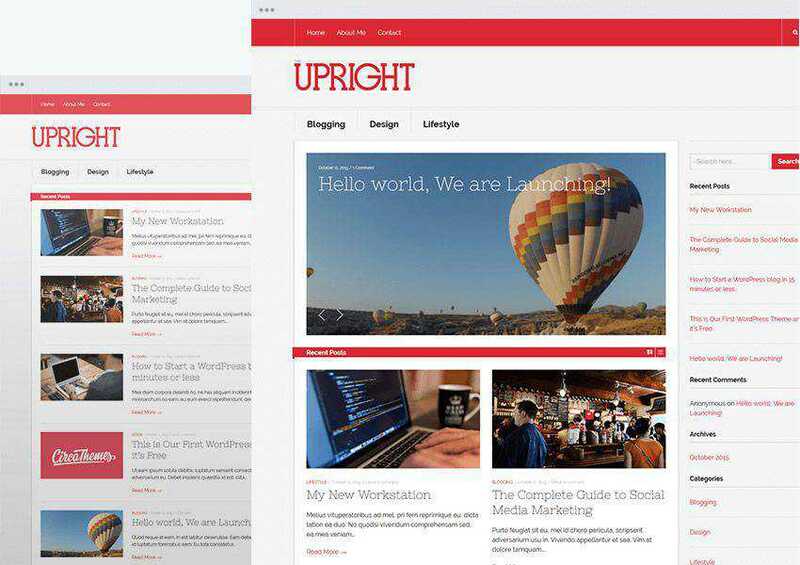 The Upright theme is a grid-like theme with a strong focus on bold imagery., It supports a variety of content. You can create galleries and showcase past projects, and allow your visitors to enjoy your content on all devices thanks to the responsive design. 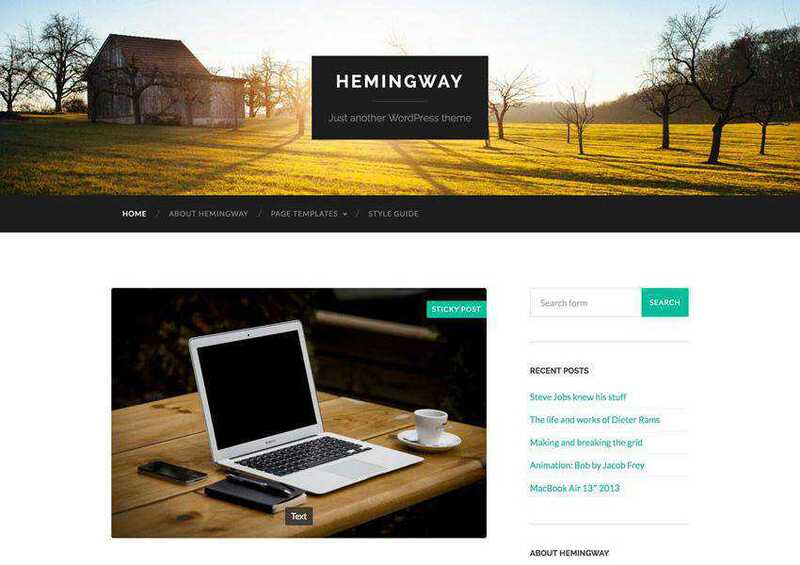 The Hemingway theme features beautiful typography and a standard two-column layout. The theme is fully responsive and has a minimal and clean design. You can easily customize the colors and fonts. The Editor theme is geared toward personal bloggers and photo bloggers. 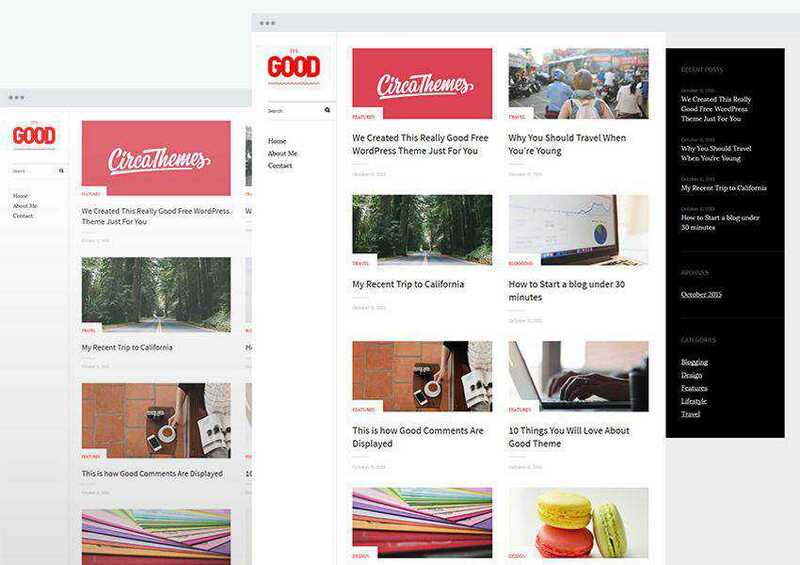 It includes big typography and images, plus a tab-based sidebar with a place for a social links menu, featured posts, and a site logo. 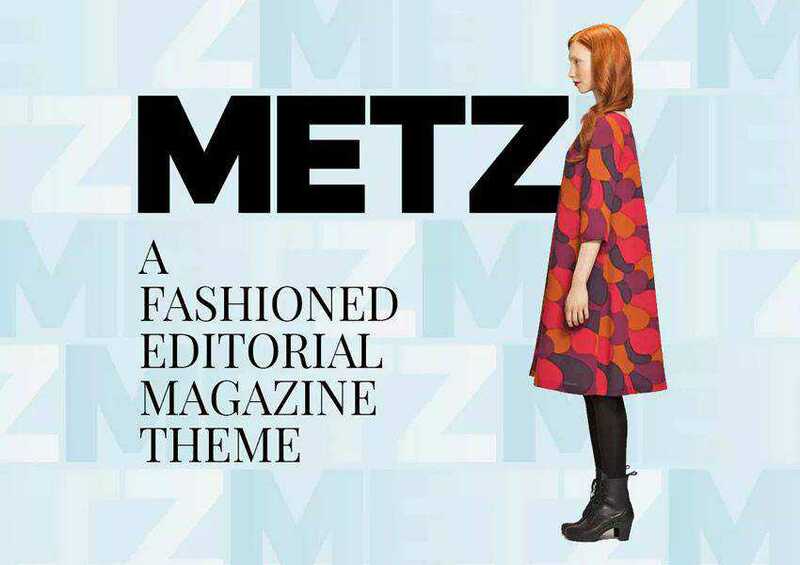 Try the Metz theme if you want a bold and beautiful theme centered around typography. The theme comes with a full-width slider, various post listing layouts, and a responsive design. The Popster theme has a elegant layout and design that’s focused on beautiful typography. The theme is SEO-friendly and optimized to load fast. It’s also responsive and translation-ready. 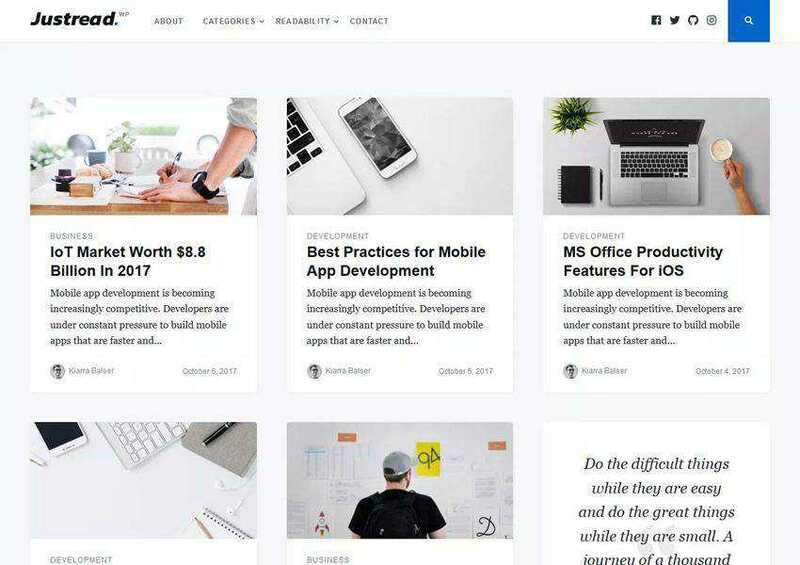 The Vito theme is sure to grab the attention of your readers thanks to stunning animations and a minimal design that lets your posts stand out. The theme has a standard, two-column layout. 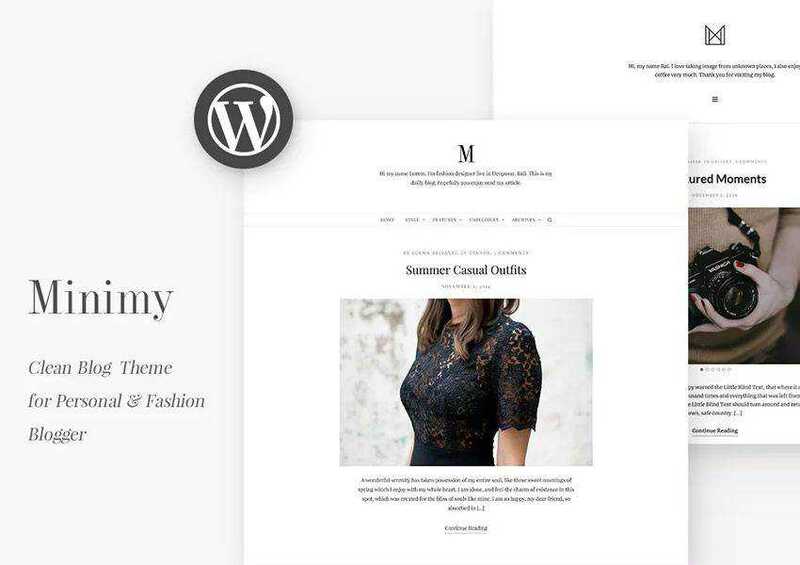 The Minimy theme is a clean personal blog theme with support for 2 global Schemas, 2 menu locations, various blog layouts, and a plethora of customization options. 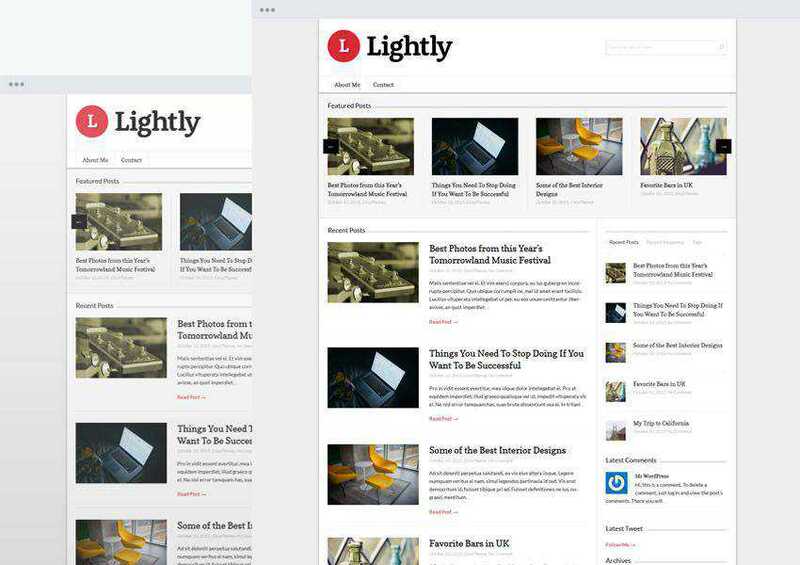 The Justread theme focuses on improved reading experience across all devices and fast loading times. It features an elegant blog layout and sticky sharing buttons so your readers can easily share your content. The right personal blog theme will make it easy for your visitors to enjoy your content on any device. 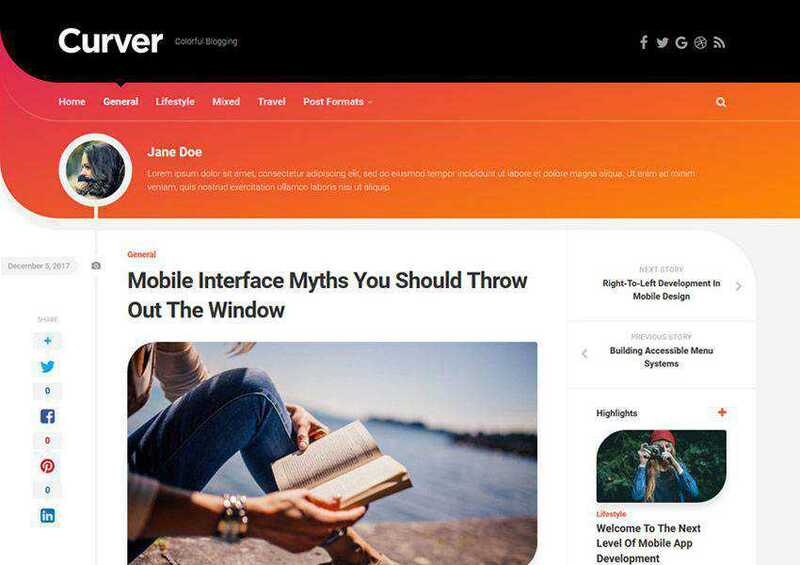 With features such as improved typography, responsive design, and stunning featured images, the themes on this list are a perfect starting point for your personal blog design.